FamilyWellnessMD (Duluth) - Book Appointment Online! 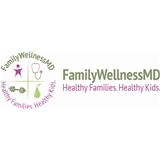 FamilyWellnessMD was established in 2015 as a holistic medical center focused on healthy nutrition and fitness for the whole family with a focus on pediatric care. Dr. Nadia Taylor is a board-certified medical doctor. One of the challenges she's faced in trying to combat childhood obesity is that if, "Momma doesn't change; nobody changes." Mom is the key decision-maker typically when it comes to food choices in the home. Our center focuses on healthy living for the entire family. In addition to Emory University, Dr. Taylor is also associated with Children's Healthcare of Atlanta. As always Dr. Taylor is the best!! !